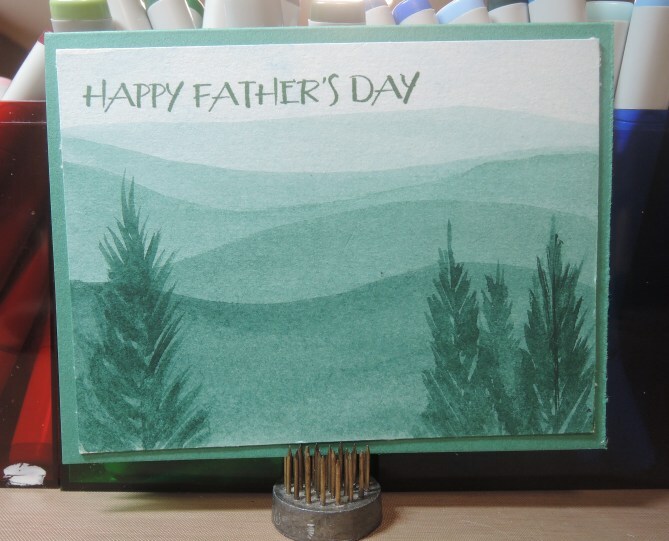 This is what I did for Father's Day Cards. I actually made four the blue one; one of the green one. All are painted on Tim Holtz watercolor paper. 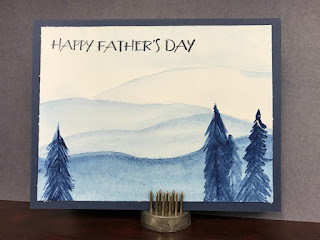 I started with a blue water, and then did increasingly darker washes of color for each mountain as it came closer to the viewer. In this way, the front mountain has several washes of color and is the darkest. The green one might be my favorite (it went to Steve), but some of the other blue ones (not pictured) were good, too. Fun to make.